The National Clearinghouse for Educational Facilities (NCEF) reported in 2010 that the total number of school-aged children within the United States would increase from less than 60 million to nearly 80 million over the next 40 years. Since this report was released over seven years ago, construction industries can attest to this projected growth due to the rise of children entering schools and other educational environments. Based on these findings, educators today have felt the constant need for more effective classrooms and learning methodologies to satisfy this increasing demand over the past years. There is no question that education has changed due to new and innovative learning environments that enhance the way students learn in the 21st century. The dawn of the Internet along with other rapid advances in technology, for example, have compelled educators to integrate multimedia into their curriculum as well as adapting new instruction methods to suit a more tech-savvy audience. It is to the benefit of educators and students alike that physical spaces in schools not only help nurture students, but that they also support the goals of assigned curriculums. Come 2017; trends will be shaping the most important physical environment for the next generation. Sustainability Sustainability in construction means that the social, economic, and environmental impact of projects are taken into consideration at all stages of the building cycle from design to demolition. Sustainability is properly measured using the Leadership in Energy and Environmental Design (LEED), a rating system by the United States Green Building Council (USGBC). LEED certifications help evaluate any building’s environmental performance and promotes market transformation towards sustainable design. 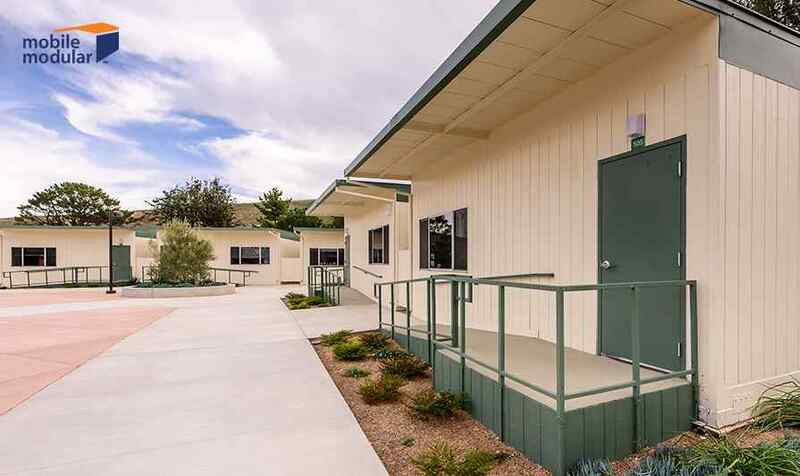 It is not common for schools to employ newer construction methods such as modular buildings because of better LEED certifications such methods attain. One such example is the Kathleen Grimm School for Leadership and Sustainability in Staten Island, NY. Its construction is an exploration into how teaching environments can impact the way a school community interacts. The 68,000 sq. feet two-storied building produces all the energy it needs from renewable sources which are offset by energy recovery ventilators, a geo-exchange heating, and cooling system as well as a solar thermal water system. This makes it the first net-zero energy school in New York. Students and teachers can access energy consumption data in real time at interactive kiosks around the building and signage around the campus informs students and visitors about energy conservation. What better way to teach young minds about caring for their environment than to point to the very building they are accustomed to? There is a growing need of space that can be modified to match unique needs. Of the 65 million students enrolled in public school system nationwide, 6.2 million students were in California according to statistics released by the California Department of Education in 2016. The report also notes, however, that the number of public schools in the state has not increased proportionately. This calls for a rise in learning spaces that can be assembled faster which can adapt to needs that change daily from one class to the next. This is where modular classrooms really make a difference. In fact, the construction of buildings in modules is gaining popularity. According to BizCommunity, it is estimated that in five years over 50 percent of all construction projects will use offsite modular construction and other technologies such as 3D printing. When it comes to constructing new schools, some believe that a larger campus would benefit student populations by spreading or sharing resources like auditoriums and libraries. Portable classrooms are a great option for schools that must expand for more space to avoid overcrowding. An added bonus is these buildings can be repurposed easily from semester to semester and can even be physically relocated, if needed, from one part of a campus to another. One can easily change classroom space between semesters. But the challenge is transforming the same space in a short period of time to suit the needs of one class to the next. Building solutions that allow for quick transformations will be favored. 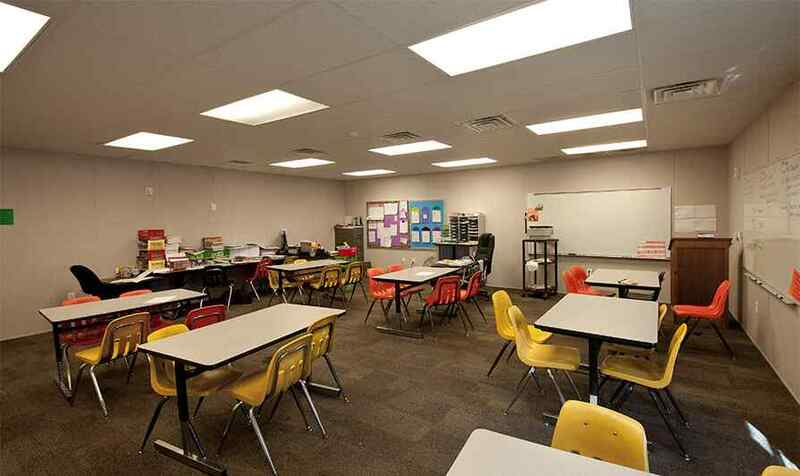 For instance, with the help of sliding panels and smart storage, classroom space is easily transformed to fit your needs. Smart classrooms are fitted with multi-media capabilities such as projector screens that can easily be wired to a computer or DVD player. Technology for classrooms has also changed the way students interact with instructors as well as their peers. The lack of a podium from which a teacher traditionally interacts and the use of mobile devices in classrooms opens up unconventional, yet engaging approaches to learning. One of the biggest differences in new school construction is their adherence to individuals with disabilities. The International Disabilities Education Act (IDEA) was put into place to ensure that public schools provide equal opportunity for children with disabilities so they can be prepared for higher education and employment. Apart from the above, many factors will impact the design and expansion of schools. School districts that are looking to add new facilities as well as build new schools can consider modular construction as a solution. Modular school buildings meet the same stringent building standards and codes as traditional on-site construction and have the added bonus of clean and safe construction sites, a greater degree of predictability in cost owing to supply chain logistic scheduling, and a reduction in carbon emissions because of reduced transportation of building materials. They also come handy as temporary spaces when the need arises. If you’re in the process of upgrading parts of your campus or looking to build a new school, contact Mobile Modular or request a quote today.